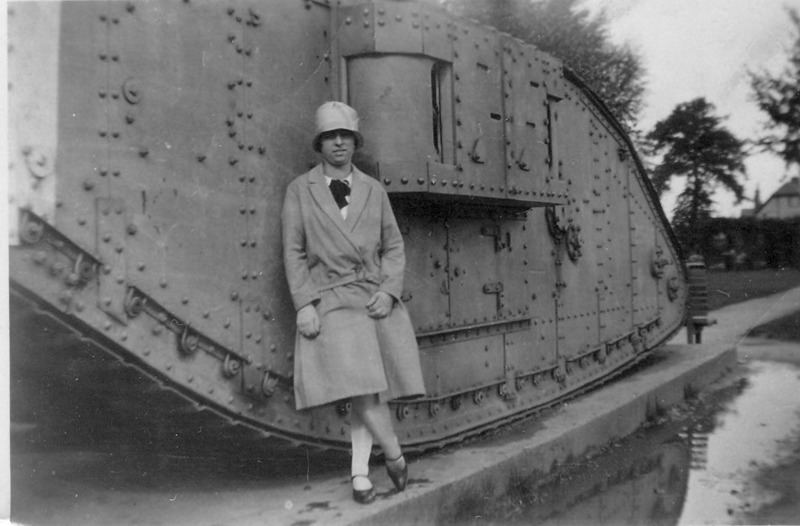 Dorothy with a First World War tank in Wyndham Park. September 16 1929 It’s a Female, ie only armed with machine guns, Mark IV Tank given to the town in 1919 as a thank-you for all the money raised for war funds during the war by the town. It was on a concrete plinth in what became Wyndham Park . It was sold off for scrap in the late 1920s for £26.50p. There is only one of these presentation tanks left in the country and that’s in Ashford in Kent. No doubt it would have gone for scrap anyway during the Second World War to help the war effort.